Your friendly LGS (local gaming store) is the most important business to your experience playing Magic. They sell you the things you need (most of the time). They create a space for you to come in and play. They help foster the community you’ve come to be a part of. They organize and plan the events you play in. The stock that delicious snack you like that helps you think when you’re doing mental gymnastics. They talk smack about your NBA Jam skills while you’re busy getting dunked on and getting called for goal tending. But, every LGS is different. 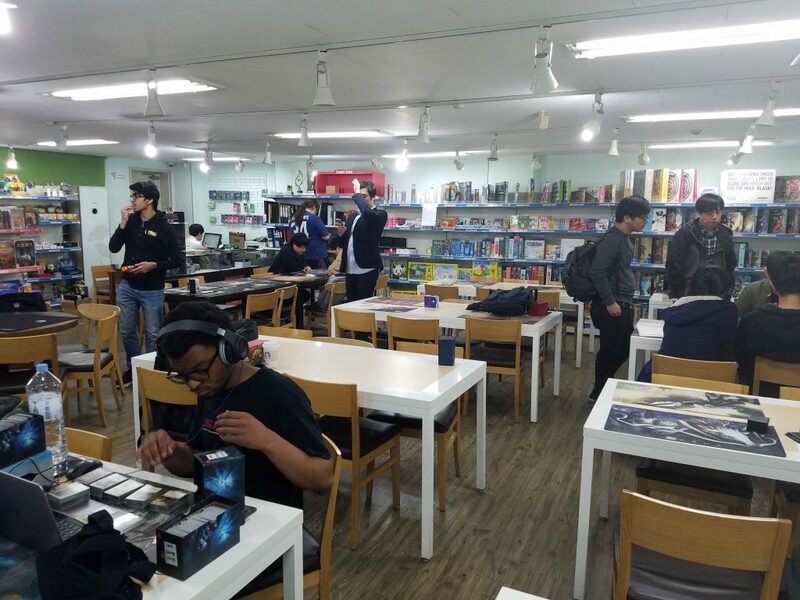 Today, I want to take a little time to share with you about my LGS here in Korea! 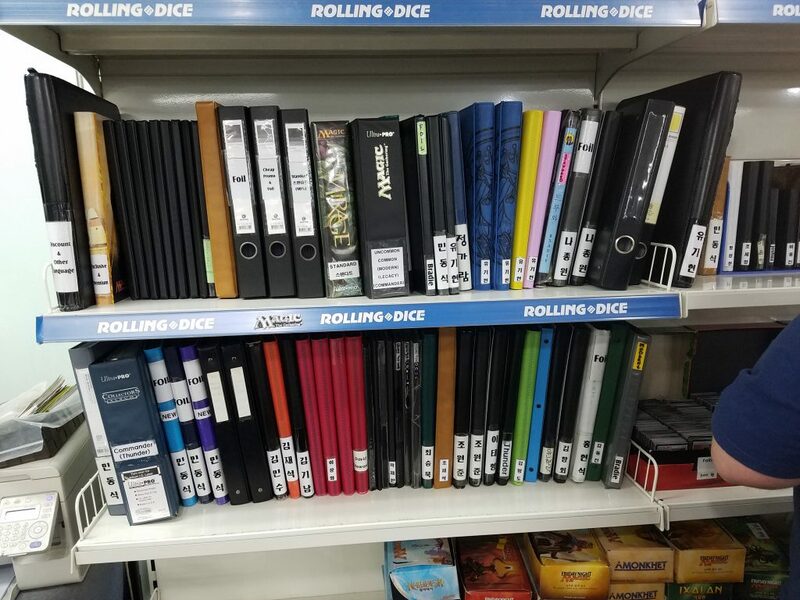 This is Rolling Dice in the Hondae area of Seoul, Korea. Hongdae is an abbreviation of the Korean name of Hongik University, home of Korea’s premier art institute. It’s a very lively area with lots of great places to shop, delicious hole-in-the-wall restaurants, and captivating street performances. It’s owned by Korean MTG pro Nam Sungwook, who at the peak of his career in 2014 won Grand Prix Melbourne (with two more GP top 8s under his belt), took second place behind Patrick Chapin at Pro Tour Journey into Nyx, made Platinum Pro Status, and as the Korea National Champion helped put Korea in the top 8 of the World Magic Cup all in the same year. Oh JooHyun, another Korean pro with a GP top 8 and WMC top 8 of his own, is the manager for the store. They attract and foster a pretty stiff competition at Rolling Dice. It’s pretty spacious for a business in Korea – most businesses are quite small. It’s normal set up has space for running events with up around 40 players comfortably spread out without having to break out extra tables or move anything around. When you walk in in the door, the play area is on the right, with wood-topped tables often with play mats the store leaves out for people to use. The back wall and shelves to your left are packed with board games. Also along the back wall are binders of MTG cards (which I’ll talk about more in a bit), and boxes of 50-centers for people to freely peruse. The left wall holds a modest selection of deck boxes, sleeves (Dragon Shield Mattes in almost every color make me happy), and the occasional binder. Right beside the door is a refrigerator with the kind of drinks you’ll typically find in any sort of “sit down and play for a while” space in Korea – some canned coffee, juices, “cider” (basically like Sprite), and sparkling fruit drinks among others. There’s a good chance that the table near the door will be surrounded by a group playing Mahjong (at least, I’m pretty sure that’s what they’re always playing, but I have no idea how it works). Again, since floor space is a precious commodity here, you won’t find any large cabinets of singles on display like we have back home. Instead, you just walk up and ask for what you need. If you have a large list to write out, they even have order forms you can fill out with which cards you want, which sets you want them from, if you want them foil or not, etc. Then they’ll go into the back and pull you what you need. They’ll come out, show you what thing costs, and then punch it all together in their basic calculator and show you the total price. The calculator thing instead of a register doing it is pretty standard for any shop in Korea that isn’t a supermarket. It’s a little strange at first and makes it feel like you’re sitting with a car salesman, but you get used to it. 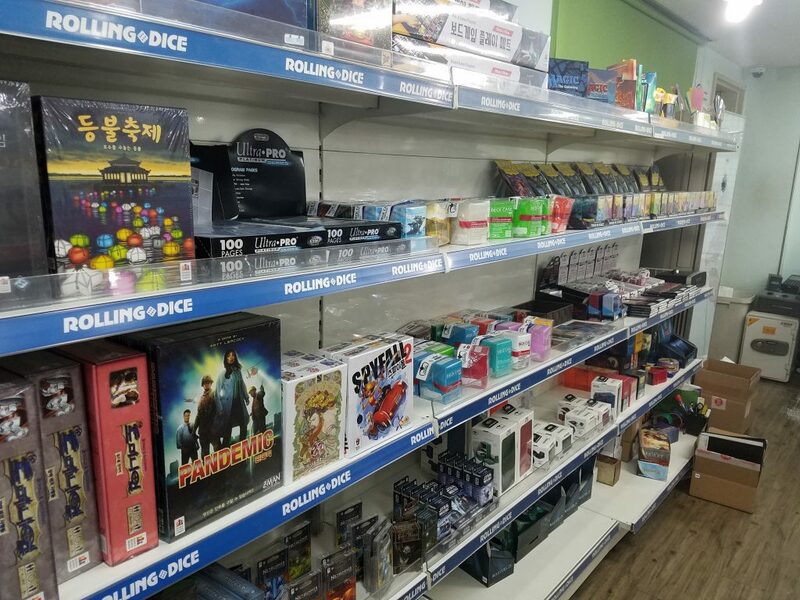 They have a ton of board games on the shelves – some that I’ve seen in the US (disclaimer: I don’t have much in the experience of board games), some that I know are in just Korean versions of English games, and some that are unique to Korea. Like most stores in the States, MTG is the supermajority of their business. As far as MTG accessories are concerned – selection is a little limited. Some things are just very difficult to get in Korea, and many Korean players simply use other things. For example, KMC perfect fits (in my opinion, the best you can use) don’t get shipped to Korea. The store stocks up on them every time there’s a GP in Japan (much like there was last weekend) and they sell quickly. Sadly, I had to order online when I needed them. You won’t find many of the nice, smooth binders with straps or zippers, either. Most of the Koreans seem to opt for keeping their cards in 3-ring binders and binder pages. For sleeves, you can get Dragon Shield Mattes in every color except clear, and they keep one of each sleeve on a little display so you can see what color they are before you commit to buying the box. You can also get KMC sleeves in the packs of 80. I’m sad to say they haven’t gotten any of the new Art Matte sleeves from Dragon Shield. But, hey! I need something to look forward to buying when I come home. As far as deck boxes go, they have a nice assortment to choose from. The cheaper, hard plastic Dragon Shield boxes or softer plastic Ultra Pro deck boxes are there if you’re not looking to drop a lot. But, they also keep the Ultra Pro satin towers (my personal favorite) and a selection of Ultimate Guard boxes on the shelves as well. But, let’s talk about buying cards. One of the coolest things about the store is they will let you keep consignment binders at the store. People can look through them and buy your cards. The store takes 10% and sends the rest to you. If they pay with credit, your share comes to you in credit. If they pay with card or cash, you get paid in cash. However, most of the binders are full of cards that just rotated out of Standard and don’t see play in other formats. If you’re looking for a diamond in the rough, sometimes you need a big sifting pan. That said, there are definitely some diamonds to be seen in a few of them. In Korea, it’s much less common for people to show up and jam with whoever is around. People mostly show up only for events or just to play with friends before they go off to eat or do something else. The binder consignment system is a nice way for players to be able to move some of their unwanted cards without having to hang around all day as well as a nice way for people to still have a chance to find something if the store doesn’t have what they’re looking for. When it comes to pricing, Korea as a whole largely follows CardKingdom for their pricing, as the other major stores don’t ship to this side of the country. Cards are usually priced at 1,000 won per $1, and the Korean cards are generally the same price as the English versions. This is pretty nice, since $1 is actually closer to 1,080 won and Korean cards in the US can sometimes be significantly more than the English version. There may or may not be a few cards I’m looking to try to pick up some extras of in Korean before I come home to unload. Card grading isn’t generally as rigid as the States. Card Kingdom doesn’t follow the same NM/LP/MP/HP/Damaged scale that the rest of the English card-selling system does, and anything that’s in LP/MP condition they usually knock 10% off. When I picked up an Alliances Force of Will the other week, they dropped it from 70,000 won to 63,000 for being a borderline LP/MP card, which actually translates to roughly $58-59 – quite a deal. As far as trade-ins go, the store generally gives somewhere around 50-60% of the price in credit for anything they’re willing to take from you. The real deal here is that tokens and bulk commons they generally let you have for free. When you decide you need a Ritual of Rejuvenation for your sideboard or a playset of Miasmic Mummy for your standard deck, or maybe you just need some extra checklists for your transform cards, they have boxes you can just look through until you find them. Tournament entry fees here are universally higher for almost every kind of event (though PPTQ’s tend to be a little cheaper). Weekly casual tournaments like Standard Showdown tend to carry a 15,000 entry fee (about $14). Even FNM is 10,000 won (roughly $9). But, the prize payouts are usually pretty big in terms of packs, and the higher entry fees also go toward the “lucky prize” – everyone rolls 3 six-sided dice, and the highest roll wins. Today, we actually did four dice, with the fourth being a red die that was subtracted from the rest. The highest roll got a From the Vault: Transform, and the lowest roll got a foil Kumena, Tyrant of Orazca. I lost every die role today except the one that mattered – I walked out with my second FTV:Transform set. 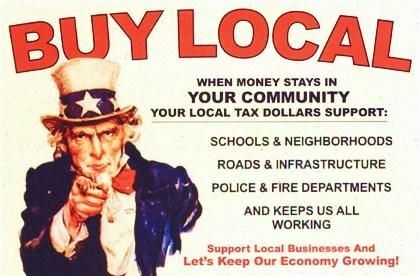 My great grandfather always believed in buying from a local business over big businesses, if it was sometimes smaller. If you don’t, the small businesses go away. If you’re traveling and stop by a shop to check in, buy a set of sleeves or a pack of cards if you can. Every bit helps them keep their space open and keeps the MTG community strong. And, remember, even if you can save a dollar or two after shipping to order something online, buying from your LGS wherever you are helps ensure you always have a home for gaming! This entry was posted in Articles and tagged Board Games, Korea, Local Game Store, Magic, Magic The Gathering, MTG. Bookmark the permalink.